American teenagers, Hana and Alex, travel to Paris on a mission to save the people they love. They have to decode an obscure message to find the only woman on earth who can help them. 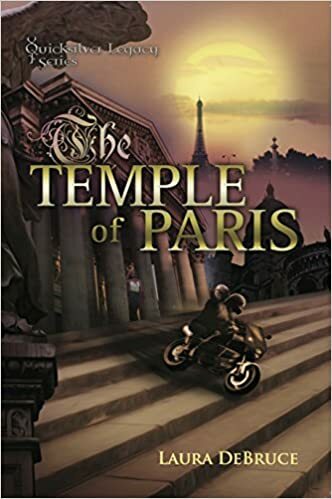 They soon discover unexpected allies -- a quirky detective with a crystal dowser and two young Italians studying in the City of Light. When a mysterious dwarf stalks Alex and sinister characters from the past reappear, Hana questions the truth about their newfound friends. The first lives Hana and Alex need to save may be their own. I enjoyed the first book in this series very much but was left with some unanswered questions about character backgrounds and where things were going. This book filled in a lot of the blanks while raising new questions. The story weaves backstory and the present adventure together through rotating, distinct point of views from the heroine and a major villain. It is quick paced and exciting with complicated characters and subplots.